"Azul Fortuna" at Newcastle, Australia, September 12th, 2017. 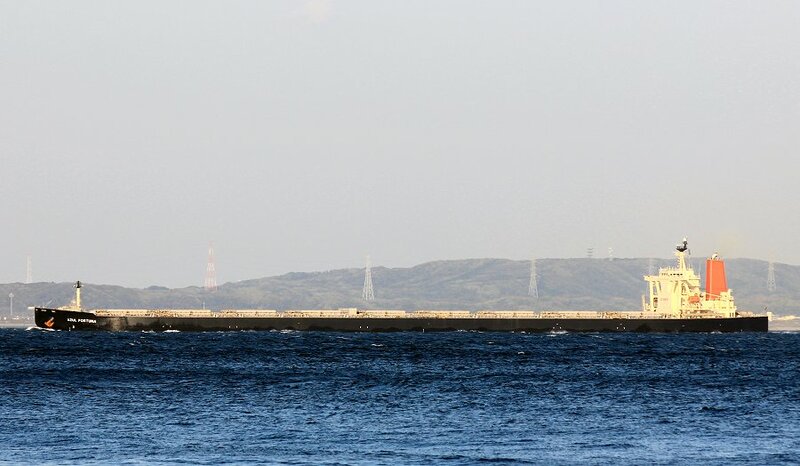 "Azul Fortuna" at Yokosuka, Japan, March 12th, 2015. 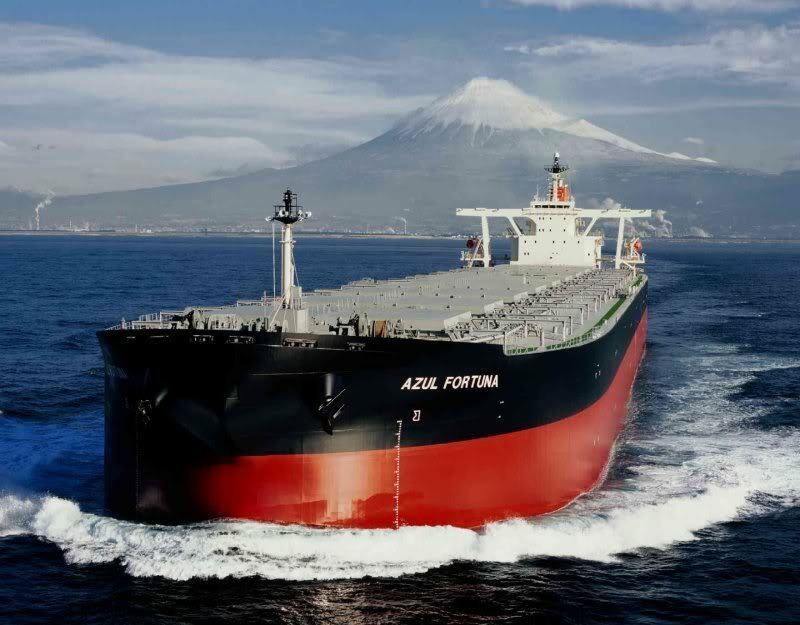 Azul Fortuna is one of the largest bulk carriers of the world and definitely one of the engineer wonders. The ship has overall length of 299.95 meters, while the length between perpendiculars is 294.27 meters. The moulded beam of the ship is 50.00 meters and the moulded depth is 24.10 meters. Azul Fortuna is really large ship with deadweight of 203,095 metric tons, while the draft, when the ship is fully loaded is 17.91 meters. 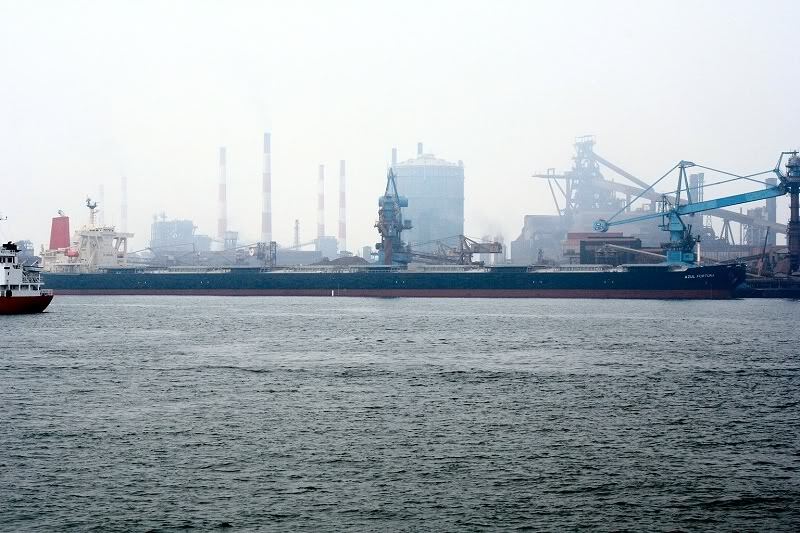 The summer freeboard of the ship is 6255 mm and the cargo capacity of the ship is 217,968 cubic meters of grain. 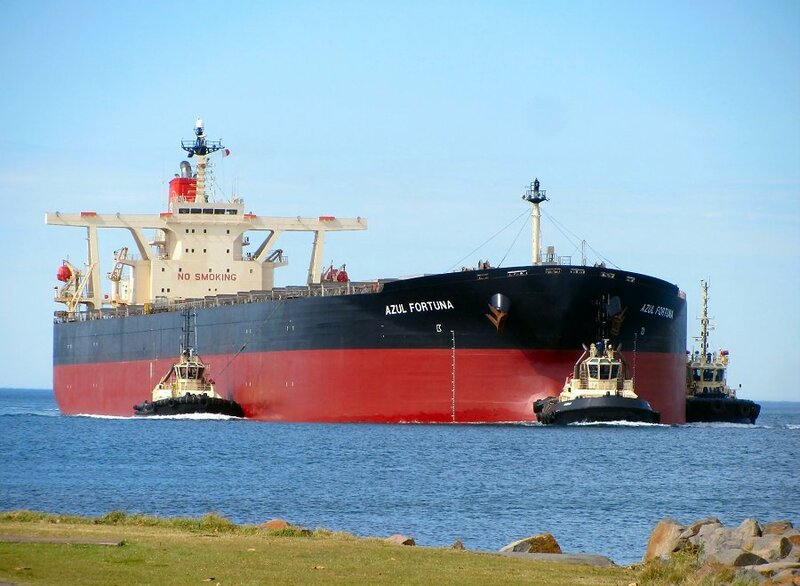 The ship Azul Fortuna has gross tonnage of 101,933 gross tons and net tonnage of 66,396 net tons. 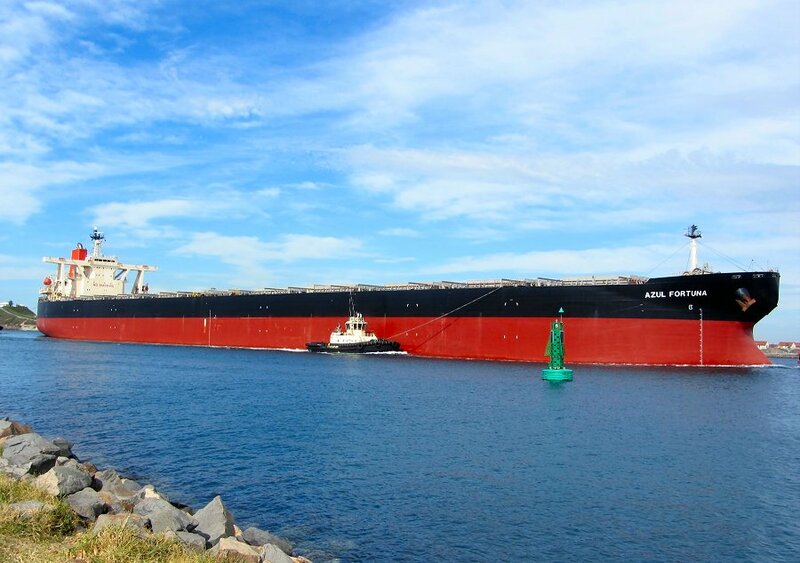 The ship is really amazing and we can tell that this is one of the largest bulk carriers built ever. We can understand the measurements of the ship, just when we see such large vehicle. Really Azul Fortuna is quite large and this enormous sailing ship, is in need of strong engine, and the designers of Osaka Boiler MFG CO Ltd. thought about this and installed MAN B&W 6S70, which has total po-wer of 22,924 kW or 16,860 hp, which gives ability for the ship to realize maximum speed of 16.7 knots. The service and economy speed is a little bit lower – about 14.7 knots. The ship was built in 2006 by Universal Shipbuilding Cor-poration in the TSU Shipyard. Azul Fortuna has 8 cargo holds, with 8 separate hatches and automated system for monitoring of the cargo handling process. The ship is really interesting with the design of the hull and the paint used for covering it. This paint increases the power from the main engine and reduces the water resistance. The new revolutional paint is decreasing the overgrowth of the hull. This reduces the expences for the ship and reduces the fuel consumption. The ship is really good, innovated and modern, built accoring to latest requirements of IMO and SOLAS convention.